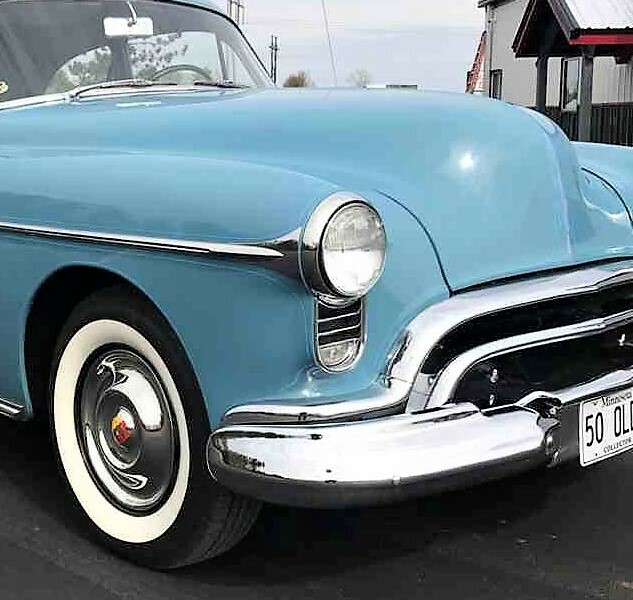 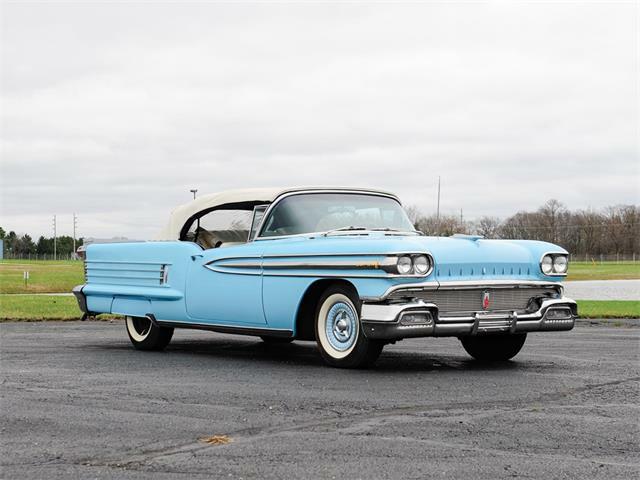 The 1950 Oldsmobile 88 coupe has been tastefully transformed into a period-style custom cruiser with a cleaned-up nose, grille and rear deck, and painted a luscious shade called Crest Blue. 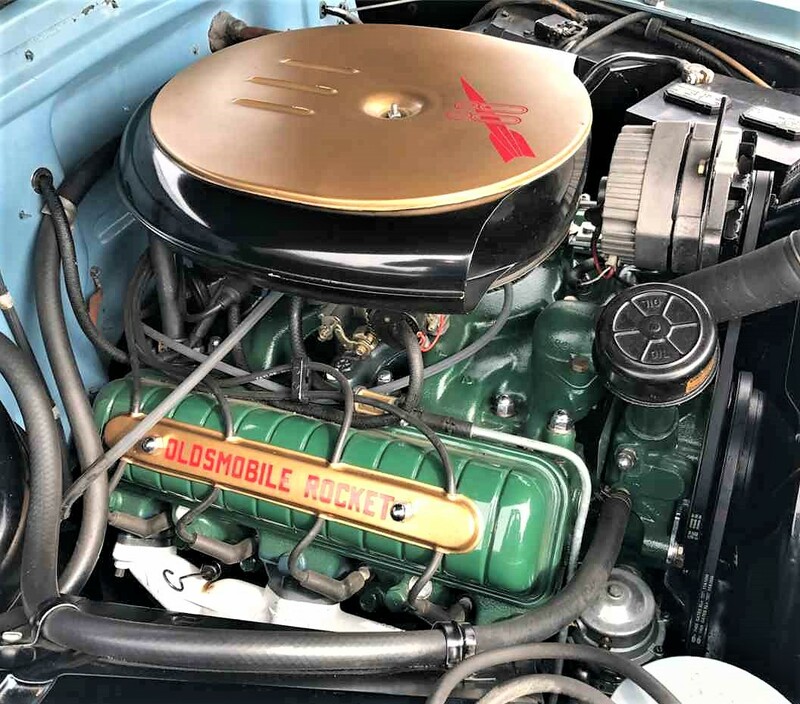 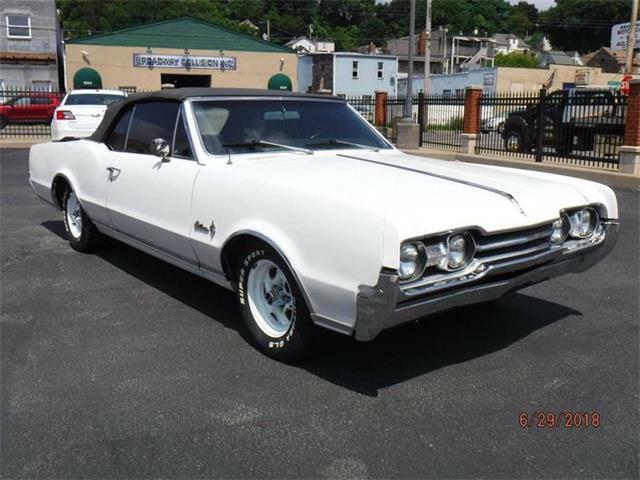 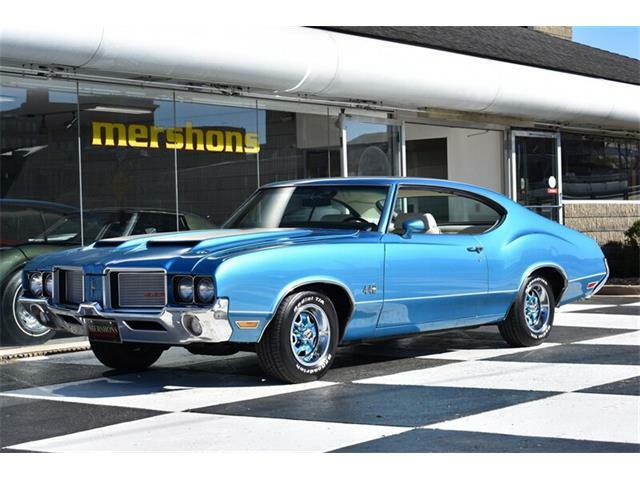 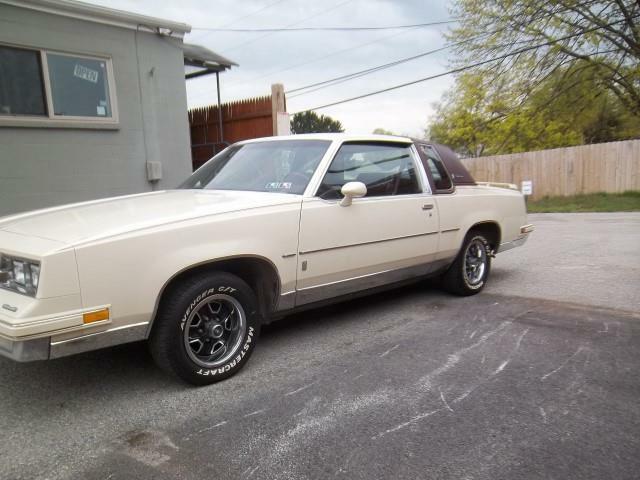 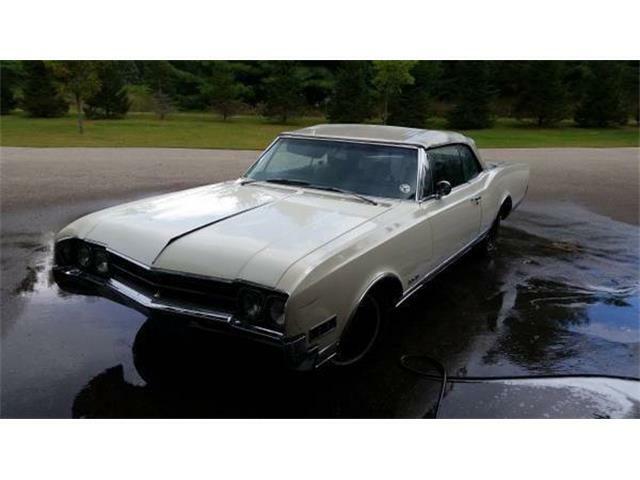 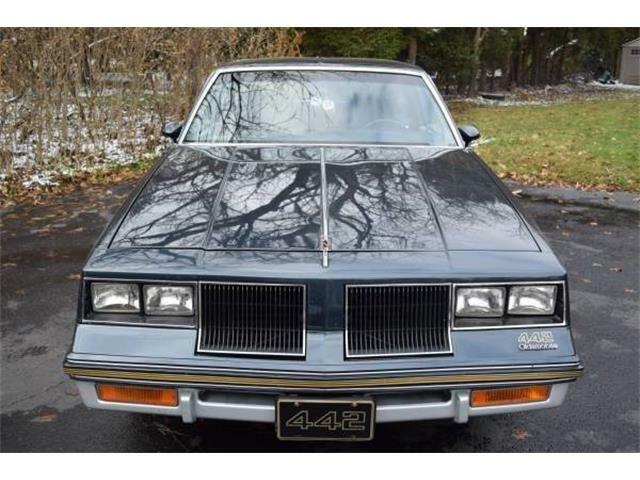 The Olds is powered by its original, rebuilt 303 cid Rocket V8 and three-speed automatic, with new brakes, tires, springs, shocks and battery, according to the Brainerd, Minnesota, dealer advertising the coupe on ClassicCars.com. 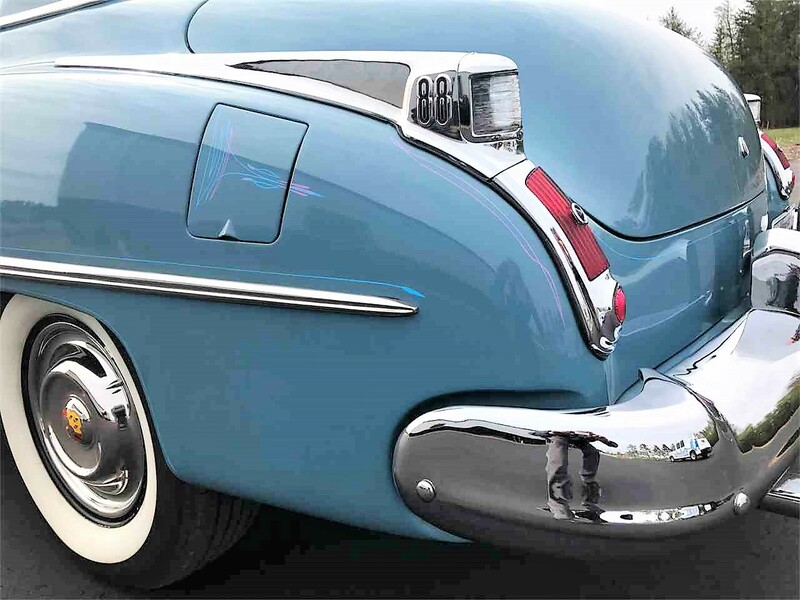 Some changes have been made since the Olds 88 appeared in the magazine 26 years ago, most noticeably the switch from custom chrome rims to steel wheels with full Oldsmobile hubcaps and old-school whitewall tires, for a clean and retro look. 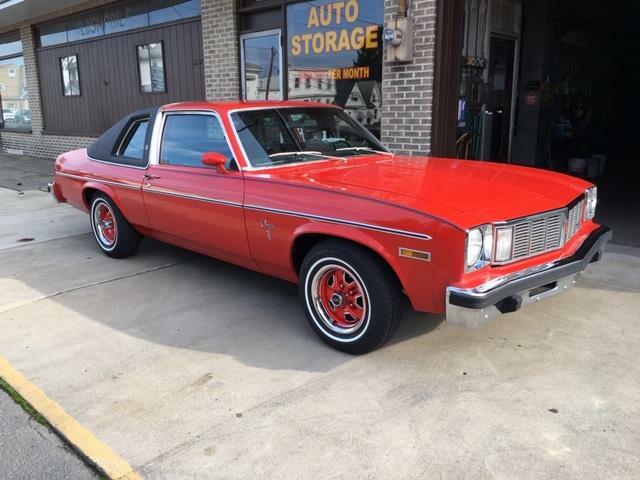 Also changed, the ride height has been lifted slightly since the car’s centerfold appearance, though still an inch or two lower than stock, and the interior has been updated with modern leather seats and door panels, with a matching trunk treatment. 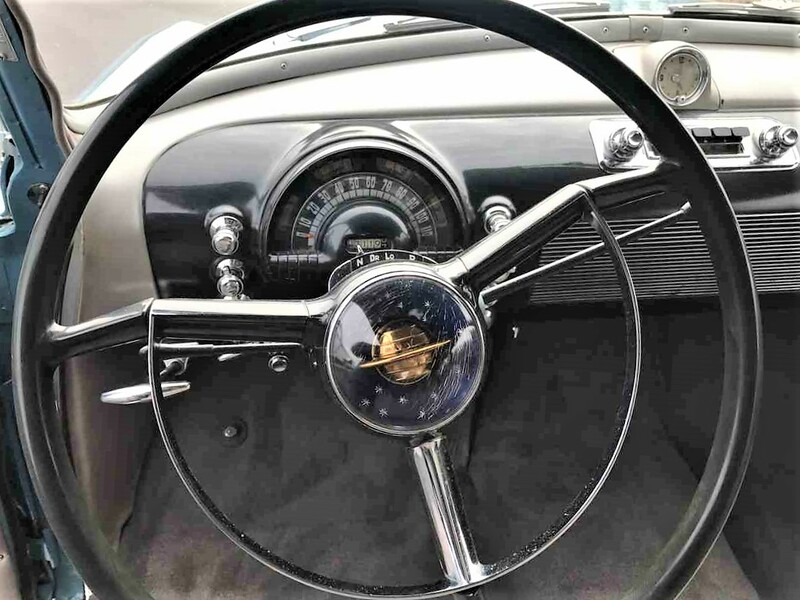 The original modernistic dashboard, steering wheel and trim thankfully have been retained. 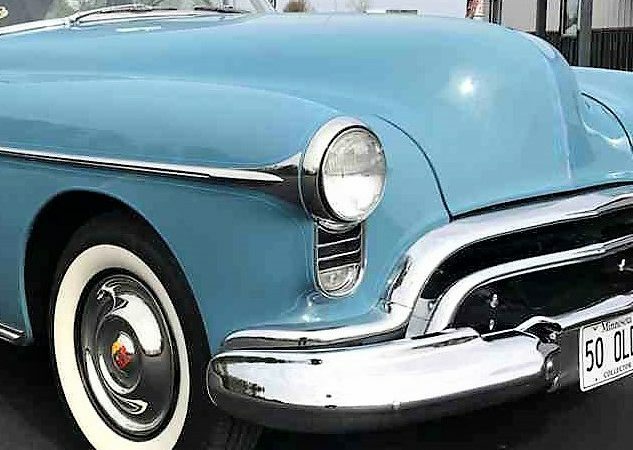 A modern radio has been hidden away in the glove box, with the original Space Age radio still in the dash. 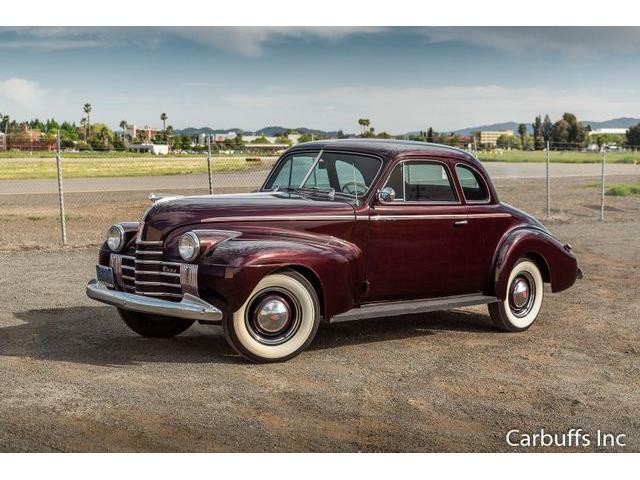 The photo gallery accompanying the ad shows a beautifully finished automobile with a nice livable interior and a very clean engine compartment and undercarriage. 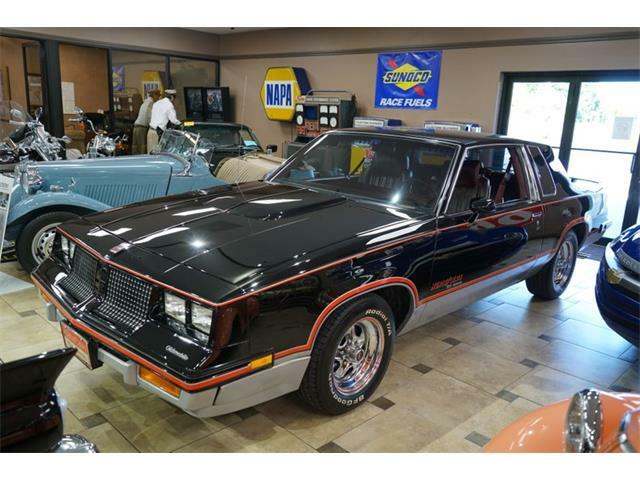 You couldn’t even come close to recreating this beauty for the asking price of $42,000. 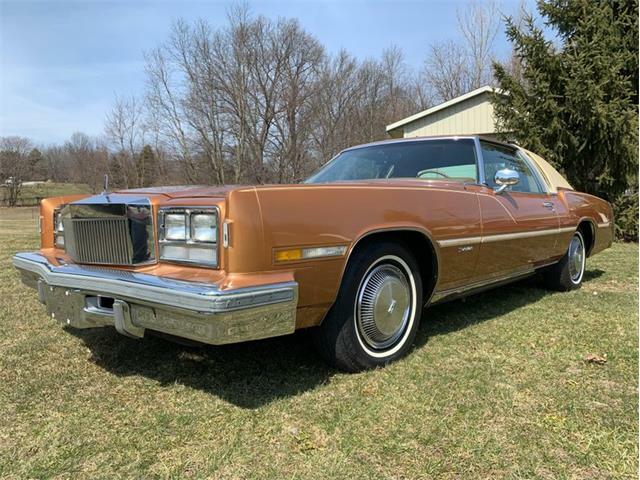 And just think how great it would be cruising, windows down and blasting “My angel is the centerfold!” from the J. Geils Band.